I while ago I did a small experiment to run Caddy on my iPhone. 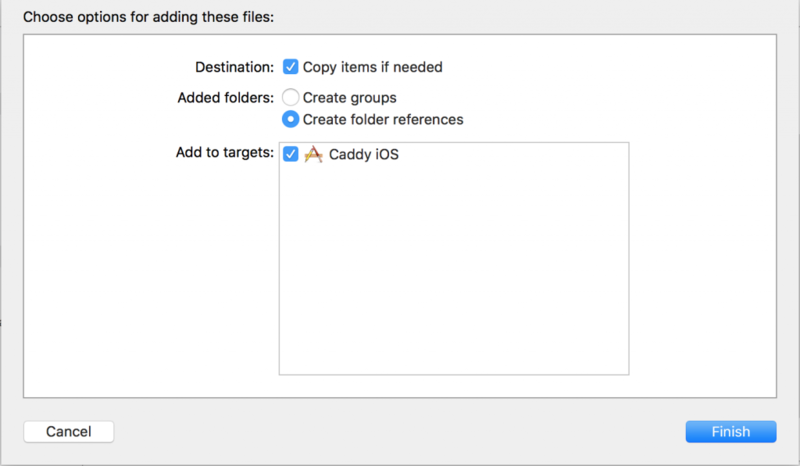 I currently have no time to do something with it, and actually build a useful Caddy iOS app, but I wanted to do a quick writeup about how you can achieve this. So others can maybe do something with Caddy on iOS, because compiling a Go project for iOS is really easy! You first need to install Xcode and the Xcode command line tools. More information can be found in the official docs. This will generate a framework called Caddymain.framework. Now you can just drag and drop the compiled framework bundle to the Xcode project of the iOS app. Check “Copy items if needed” if you want to include a copy of the framework bundle within the Xcode repo. Otherwise, modifying the Go package source code and rerunning gomobile bind ... will update the Caddymain.framework in the app. 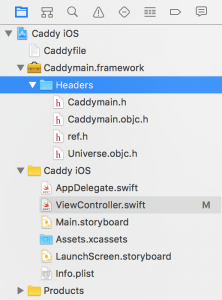 Once this is done, you can import the Caddymain framework in your Swift files and call the functions from the Caddy package and use them to start Caddy. Now you can hit run, and you’ll be running Caddy on your iPhone! Note: since Go mobile doesn’t compile frameworks with bitcode enabled, you have to turn bitcode off in the project settings in Xcode: Go to the Build Settings tab. Type bitcode in the search field and change the Enable Bitcode setting to No. 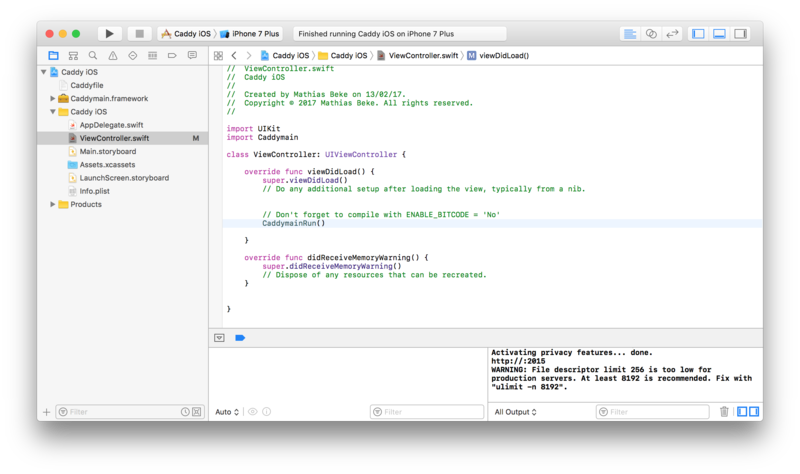 Running Go code on an iOS device is easy! So don’t hesitate to do some useful stuff with it yourself!